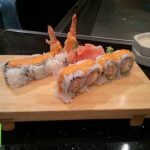 Kyoto Japanese Steakhouse Royal Oak Review – Pics, and menu info. 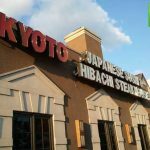 Kyoto Japanese Steakhouse is located in Royal Oak on 14 Mile Rd. 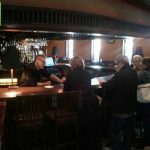 Because it’s not in the heart of downtown Royal Oak, a parking lot is available and there is ample parking. 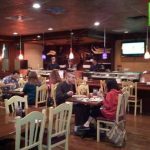 Kyoto is a Japanese Steakhouse with the option to sit in a main dining area, or in a family style Hibachi section. My friend and I opted for the Hibachi seating so that we could enjoy the whole experience of the Kyoto Japanese Steakhouse. 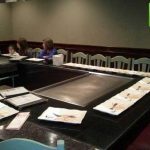 Hibachi seating is set up as one group setting wrapped around the grille. Your family will be seated at the grille, along with other families. 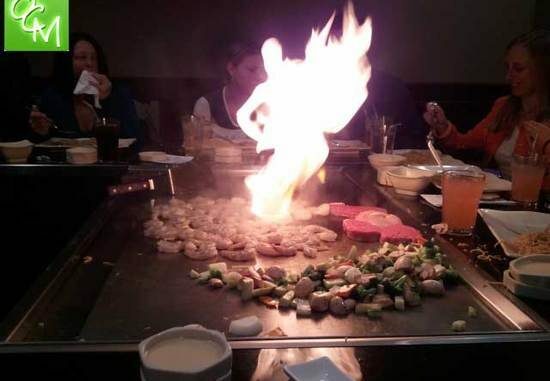 The chefs at Kyoto Japanese Steakhouse Royal Oak are talented and enjoy entertaining at the Hibachi grilles. They will squirt sake into your mouth, toss vegetables into the air for customers to catch in their mouths, light the grille on fire and so much more. Kyoto serves appetizers, sushi and hibachi meals. We tried the Do Bomb cooked sushi, and it was “the bomb” – shrimp tempura, avocado, spicy mayo and crab stick. It was incredibly fresh and so delicious. We also had the Hibachi scallop dinner. 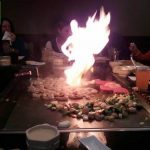 The cook grilles the food in front of everyone and entertains with fire shows, egg tosses on a spatula… Kyoto’s is very kid friendly. 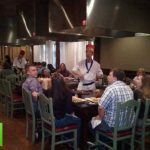 You’ll even hear the squeals of surprise and delight coming from other families being entertained at the Hibachi table side. The Hibachi meal at Kyoto Japanese Steakhouse Royal Oak begins with a soup and salad. Then they serve white rice or fried rice. The cook then prepares and serves a tasty rice noodle. Next comes each person’s entree. The scallops in our meal at Kyoto were large and fresh, and they were cooked perfectly. Everything tasted great. We were also each served a shrimp appetizer, which was basically one hibachi shrimp for each person. The shrimp was also a nice sized shrimp and tasted excellent. My friend and I split our Hibachi meal at Kyoto since we already had a sushi roll. It was not a ton of food and the prices are higher than average. But you’re paying for the experience and quality as well. 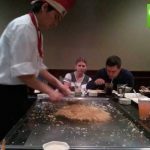 We had a great time at Kyoto Japanese Steakhouse Royal Oak, and I would definitely eat there again. Next time, I might even bring the kids. 1824 W. Fourteen Mile Rd. 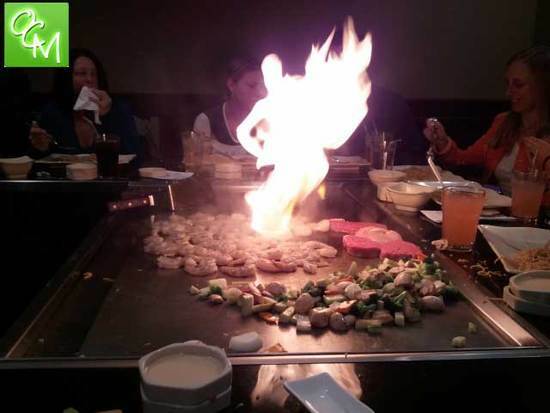 For more info on Kyoto Japanese Steakhouse Royal Oak, visit their website.